I was lucky enough to be offered a pre-release look at the app, and I’ve been enjoying it over the last week or so. For now, the game offers its first battle – Normandy 1944, from the D-Day landing through to the Battle of the Falaise Pocket. It has over 300 units and more than 30 scenarios to play through, varying weather, and 9 types of terrain to contend with. — The static graphics in battle field views and throughout the app are bright and striking, as are the movement and combat animations. — The initial mission briefings that lay out objectives that need to be achieved for victory are clear an concise, as are the debriefings after each turn. 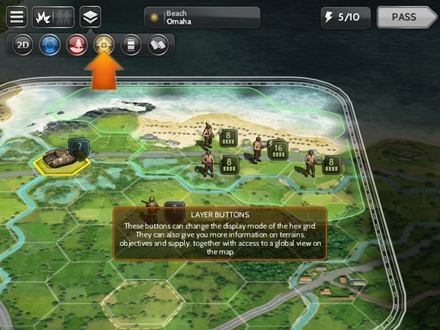 — There’s a good range of unit types and more variety as you play through more scenarios. 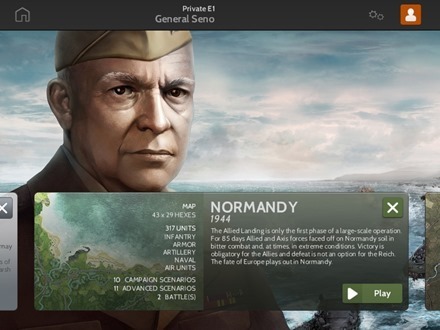 You also get some background on unit types along with nice historical photos and commentary as you spend time with the game. — Gameplay is fluid and easy to get to grips with, and there are a variety of ways to play – including quick and full battle scenarios, and single player or asynchronous multiplayer modes to play against online opponents. 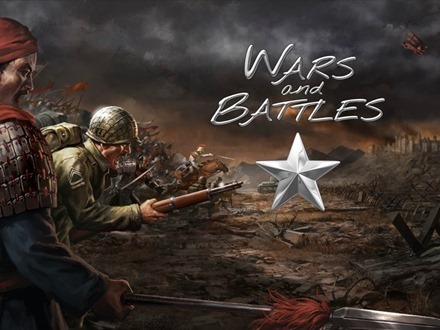 The next battles we will release are: October War 1973, Kharkov 1943, Austerlitz 1805, Gettysburg 1863, Market Garden 1944 and The Korean War 1950-1951. 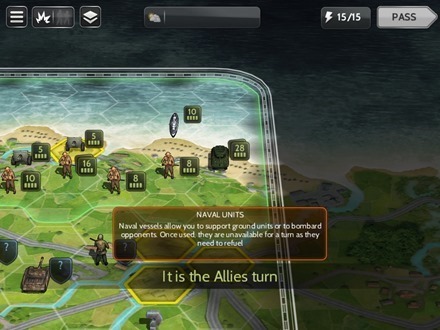 By buying the Wars and Battles app you will be able to play the campaign in each of the 7 battles we will release in 2014 and 2015. 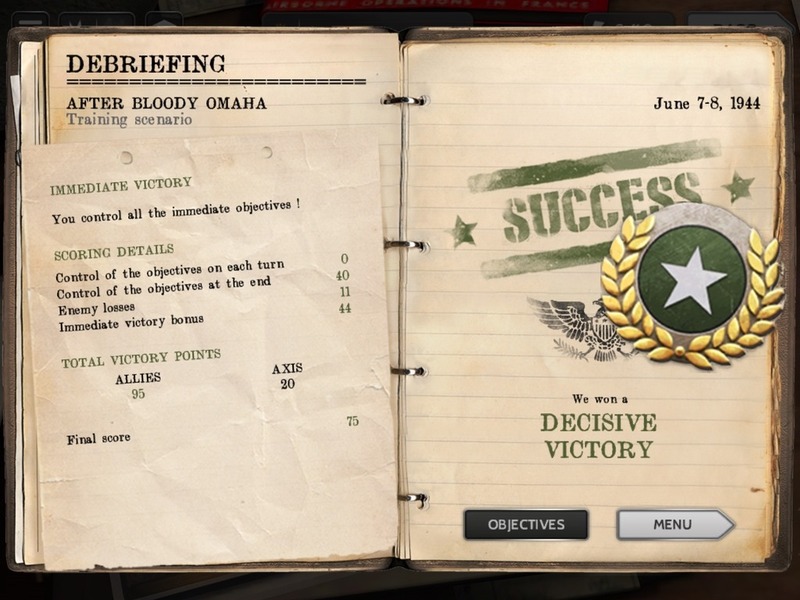 This represents more than 70 original scenarios in 7 different battles, of which there are more than 15 for Normandy 44 alone. 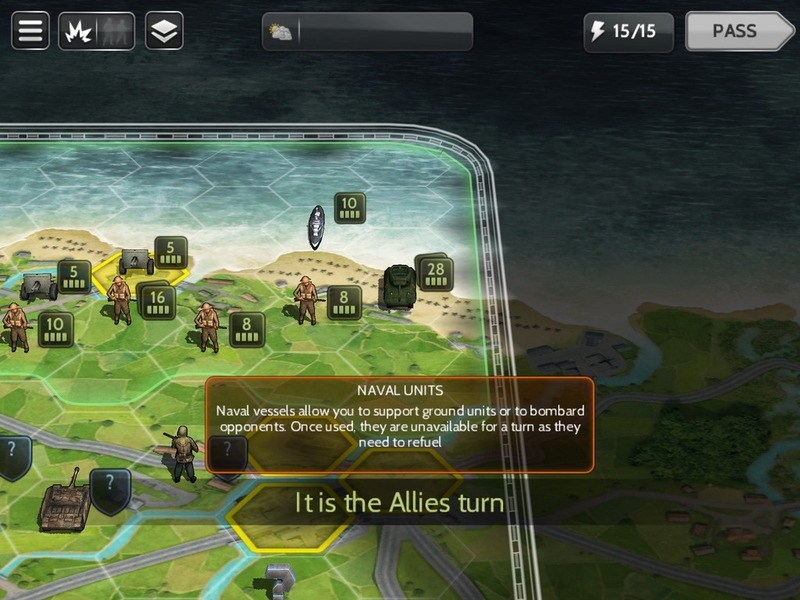 Advanced scenarios and full battles (including “what-if” scenarios) are available through in-app purchases, so the fun never ends! 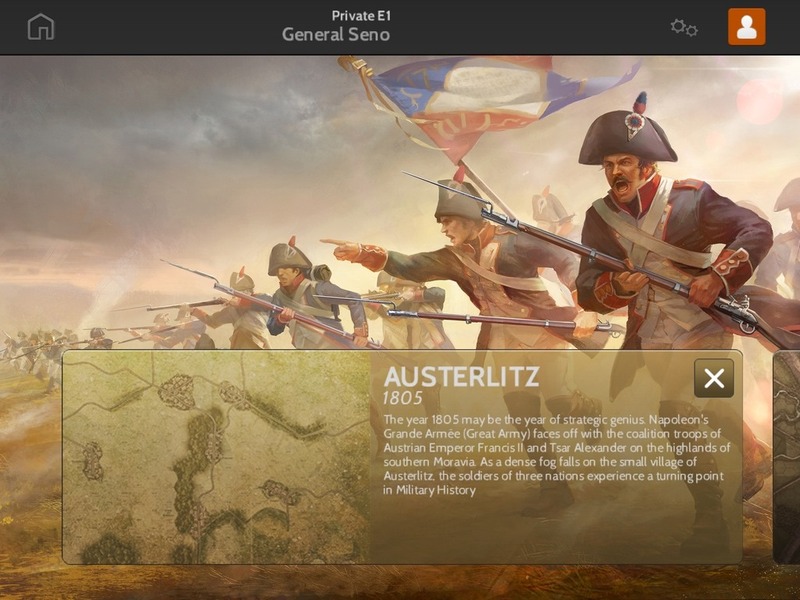 I can’t wait to see the Austerlitz and Gettysburg battles added. Here’s an App Store link for Wars and Battles; it’s priced at $6.99 with an In-App purchase option to add more Normandy scenarios for $9.99.